The breeding of geese dates back to Roman times. These days goose meat has gained popularity, being found even restaurants in the form of ham, salami, and the unique “porcaloca”. 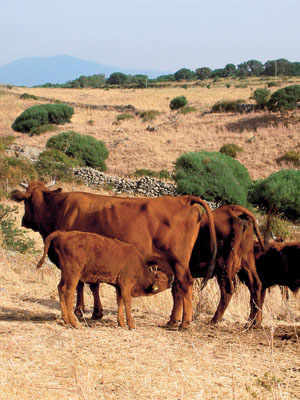 In the plains of Friuli, Northern Italy, goose is one of many valuable resources. More affordable than pork, both goose meat and fat are excellent cooking ingredients and easily digestible. Furthermore goose eggs are perfect when making confectionaries, and even the feathers and skin are utilised in various ways. Today, alongside the likes of pork, there is a re-evaluation of the merits of rearing geese, particularly of the white and Toulouse variety. 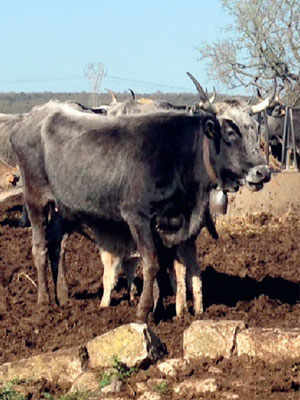 These merits are valued more so since goose rearing has started to contribute to the continuing spread of local agrotourism. 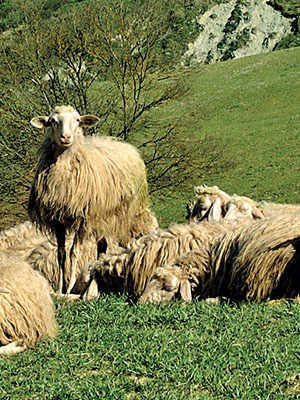 Among the northern Italian provinces, it is Morsano al Tagliamento in the province of Pordenone in which the history of goose rearing is most associated. The unique breed of goose originating here is grey-feathered with orange feet, brown eyes, and grows to a weight of 5 or 6kg. Upon being dressed (feathers and innards removed), whole or sliced goose is traditionally preserved in one of two ways. The first involves hanging the salted meat in the cellar to dry. The second involves submerging the meat in a container filled with the goose fat that was previously removed. Conventionally, younger birds are preferred as one can really enjoy the natural flavour and tenderness of goose meat. Younger goose meat is discernible through its pink colour and white, almost-transparent fat, light and clear skin, its soft and supple beak, and its brightly coloured yellow legs. A reddish hue to the meat signals a malnourished goose, whereas the aged goose meat takes on a yellow hue. 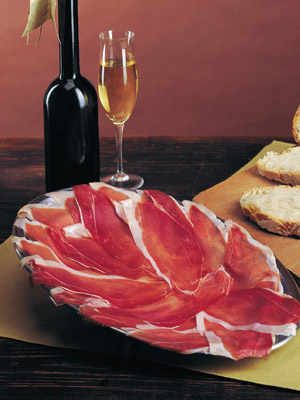 Since the year 2000, various goose-based produce have featured on the list of traditional Friuli-Venezia Giulia products, including raw and cooked ham, smoked goose breast, and a unique salami using both pork and goose. 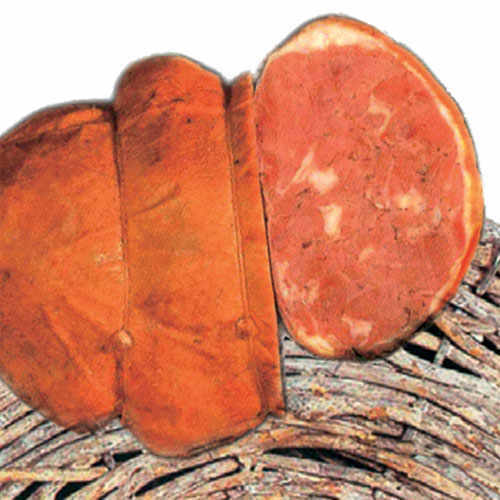 This salami is known as “porcaloca”, literally “porky goose”. As the name suggests it is a mix of pork and goose, where a deboned goose is stuffed with salted pork meat, bound with string, and smoked in the oven for ten hours. The finished salami weighs a whole 2.8 to 3.5kg. 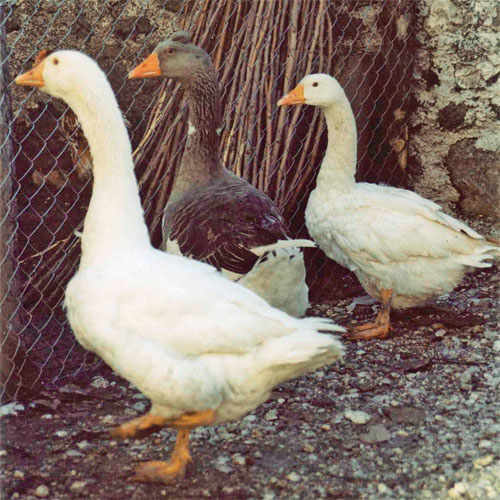 Palmova in Udine Province is known as the centre of goose production in Italy, with 90% of nationwide market sales of goose and goose-based products being traced back here. In Morsano al Tagliamento in Pordenone Province, and Lavariano di Motegliano in Udine, goose is the focal point of several festivals and celebrations. Also since 2001, more than 15 independent business owners started the “goose restaurant” initiative, producing special menus that feature goose as the primary ingredient.